First of all, I’d like to say that the background of the concept would be totally loved by Jony Ive, since it reminds me of iOS 7 and its crazy color choices. 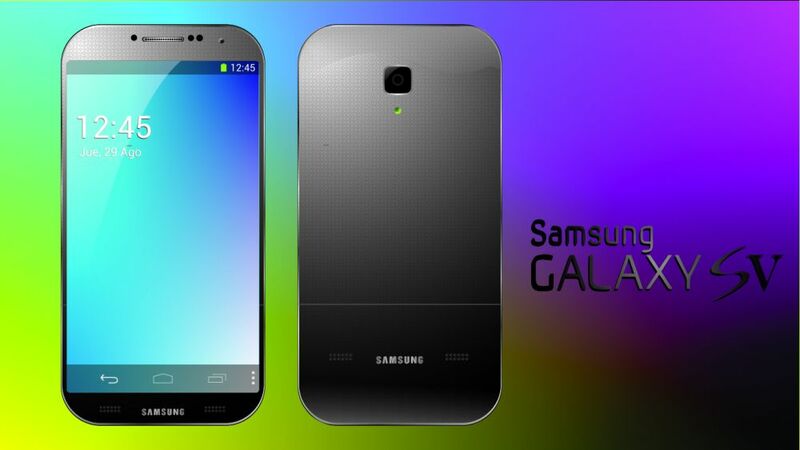 Then, I like the dotted pattern at the back, since it looks like something Samsung would evolve into. However, I’m not so sure about the rounded corners, especially since the Galaxy Note 3 launched yesterday went back to straight angles and to the Galaxy S II era. I think we should look at LG and its G2 model for hints on how the next Galaxy S will look like. LG and Samsung have always one upped each other and with industrial espionage big in that region, I supposed they know a thing or two about each other’s future products. So, I expect the Samsung Galaxy S V to sport a 5.2 inch edge to edge display and possibly a fingerprint scanner.